I'm back from my post Ryder Cup hiatus. Sort of. I'd be lying if I told you I saw a single shot of last week's tournament and why would I waste a lie on that? * This week, however, we head to Kuala Lumpur which means some off-hours golf with a pretty respectable field playing an entertaining course in front of some fans who will make the insane Ryder Cup crowd seem like an insane Ryder Cup crowd. Seriously, the quietude of the Malaysian faithful may feel unnerving by comparison. Best crank-up a good Rage Against the Machine cover in the background (you're welcome). If you scroll down to the chart of past results below, what you will find is evidence of a love/hate course along the lines of the TPC courses here at home. Who loves it you ask? Well, Justin Thomas and Ryan Moore have each won there twice in the past five years and played well on every other visit. In light of my opinion that Thomas is the best golfer in the world right now (and the Ryder Cup did nothing to change that), he's my pick to win even though I currently have no reason to pick a winner as my one and done season ended at the Tour Championship with yet another thud. (I should be better at this). If you're looking for a less obvious pick, go with Keegan Bradley or Moore who I hear from reliable sources finished second last week. The rest of my top ten are the usual combination of players who've shown an affinity for the course (Kevin Na, Cameron Smith, Anirban Lahiri, etc.) mixed with some of my typical dark horse go to guys in Stewart Cink and Abraham Ancer. You know what? 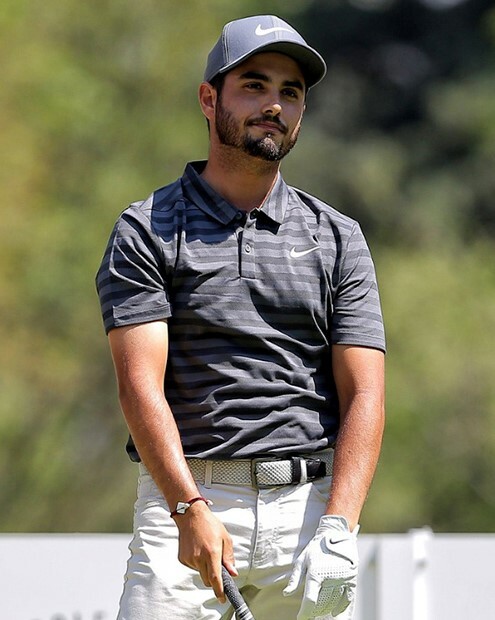 Just typing the name "Abraham Ancer" makes me happy to be back. I'm a driver, I'm the winner. Things are gonna change I can feel it. buddy because this is our year! A list of everyone I thought about picking before narrowing it down to ten. It was hard to stay away from Paul Casey and Xander Schauffele but, in the end, it wasn't them. It was me. * It wasn't just that I had no interest in the anticlimactically timed Safeway Open. It was the fact that I had devoted 36 hours on Friday and Saturday to 45 holes of losing Member-Member tournament golf followed by zonking-out early on Saturday evening followed by watching my 11 year old daughter play soccer in 90 degree October heat against teams from New Jersey and Virginia with bloodthirsty psycho parents. The New Jersey post-game actually had all the makings of a parent rumble. All I needed to do was go into full FGR instigation mode but I just didn't have it in me. That's how tired I was.